From the couple: Jacob and I wanted our wedding to be simple and homemade, and the main reason for that is because we don't agree with spending large amounts of money on items that are just used for one day. We also wanted our wedding to be a celebration of our families and the love we have for each other and our friends. 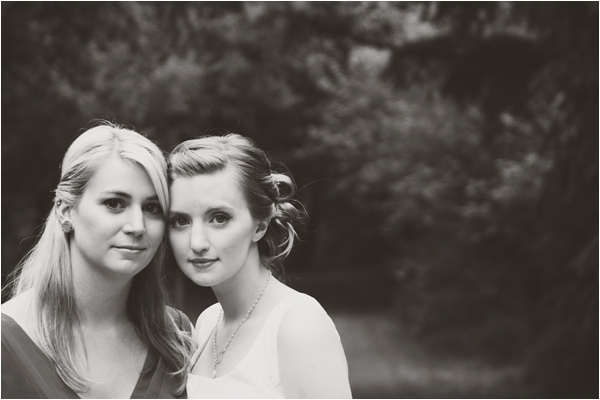 We believed that the best way to do that was to work on creating our wedding with our hands and not our wallets. While our wedding was what most would call a "budget wedding", I decided to use the terms handmade and homegrown. We set our budget around two thousand dollars, and miraculously stuck to that. Straight away Jacob, my friends, and I started making any decorations and "props" that were needed. There was no real theme to the wedding, but I used the phrase "backyard garden party" in our invitations so that family and friends would know what to expect. Jacob and I completely ignored most of what weddings were "supposed" to be like, and focused on what we wanted the most important day of our life to look and feel like. When it came down to it, I knew I wasn't going to remember what color our napkins were, but that I would always remember arranging flowers in Jacob's parents' backyard with my closest loved ones. 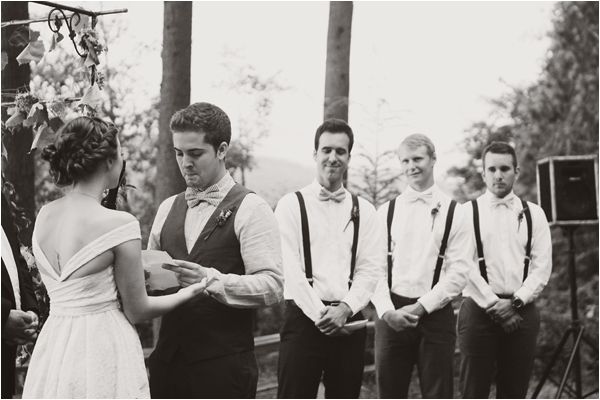 We pictured the things that would make us the most happy on that day and focused on those elements of the wedding. In order to make our wedding come together like it did, our loved ones pooled their special skills and helped us create our magical wedding. Jacob's incredibly talented sister hand painted and designed our invitations on a single canvas and then her also incredibly talented husband photographed them, allowing us to print and send them. She then also did my hair and makeup, as well as countless other wonderful things. 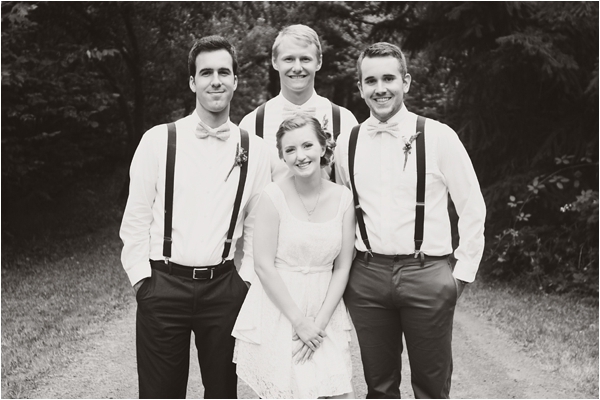 (As a couple, they were instrumental to our wedding coming together and we could never thank them enough!) 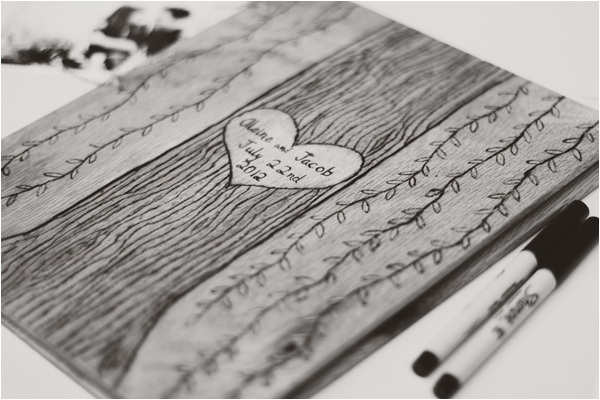 One of my bridesmaids created our wooden photo album and soldered the design on the front herself, along with making a clay bowl for our rings, wooden candle holders, and much more. The whole wedding party arranged flowers that a few of us had picked at a local flower nursery a couple days before. Most importantly, Jacob's parents opened their home to us for the wedding, allowing us to have the wedding we always dreamed of. Jacob and I were so blessed by the helping hands of our family and friends. I am so very proud that this list is of people I hold dear rather than vendors I purchased something from. 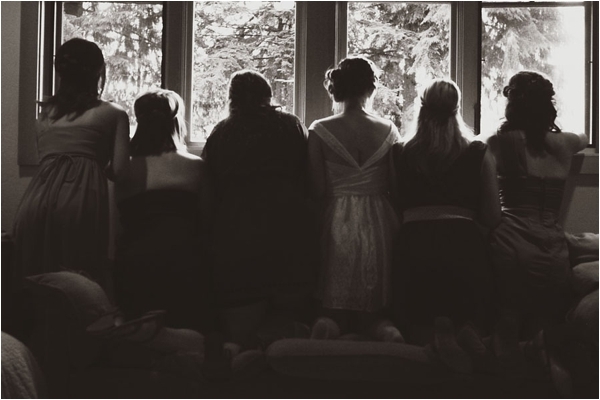 We will forever remember the touch that each person had on wedding. Lastly, our wonderful photographer! I knew that hiring someone who neither of us knew would throw off our entire day. I have known Kaelyn of Kaelyn.Elizabeth Photography since high school and have always been amazed at how she captures the personality of any one or thing in front of her lens. She was such a wonderful presence on our wedding day and was so helpful and supportive through all the inevitable chaos! I am so happy to look at our photos and know that everyone was having a wonderful time being themselves and not being forced into uncomfortable and stiff photos. Kaelyn truly captured our love and personality, and we are forever grateful for her! A bit of advice to future brides: Sit down with your groom and find out what you both truly want out of your wedding day, not what you think is expected from you or what someone else wants. And remember that no matter what happens, you will look back at it as a perfect day, because it ended with you being married to the love of your life.